Hail damage is one of the most common roofing issues that homeowners in the Shiloh, Illinois area experience. If the roof on your home has been damaged during a storm, look to the residential roofing experts at Daech & Bauer Roofing. We have more than 10,000 successful projects under our belts and have the knowledge and experience needed to ensure that the roof on your home is returned to optimal condition. At Daech & Bauer, we’ve assisted countless clients as they navigated the insurance claim process – helping to ensure that they received the necessary compensation to cover all of the damage Mother Nature had inflicted. We will be present at your insurance company’s roof inspection to make sure all damage has been noted in the report, and we’ll also help you file a claim supplement if anything is left out. Once your claim is approved, our residential roofing technicians will repair your roof with precision so it’s built to last for many years. And, we’ll back our work with a five-year standard warranty. We’re also the roofing contractor that homeowners turn to when their roof has reached the end of its days and needs to be replaced. We can install a sturdy new roof made from a variety of materials, including asphalt shingles, cedar shakes, tile, metal, and more, and we will ensure that it can withstand the elements and offers the desired amount of attic ventilation. 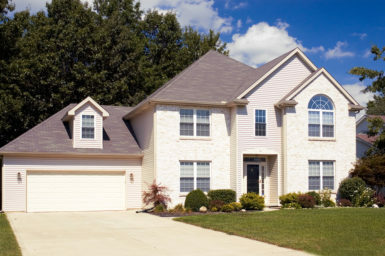 If you would like additional information about the residential roofing services we offer in the Shiloh, IL area, contact Daech & Bauer Roofing today.